I have two words for Republicans who wonder what Maine's resurgent Democrats have that they don't: Craig Hickman. He’s an organic farmer who’s more than happy to give away as much as a quarter of the food that he and his partner, Jop Blom, raise on their 25-acre piece of “heaven” right in the heart of central Maine. And, oh yes, one more thing. For the next two years, Hickman, 45, will represent his hometown of Winthrop and neighboring Readfield in the Maine House of Representatives. It appears to be mutual: In the race to replace Rep. Patrick Flood, a popular Republican who was prevented by term limits from seeking re-election, Hickman beat Republican Scott Davis, 59 percent to 41 percent. That, no doubt, is big news around the coffee counters of Winthrop and Readfield. At the same time, far beyond House District 82, Hickman’s victory speaks volumes about the strikingly different trajectories of Maine’s two major political parties. On the rise, we see a Democratic Party that finds strength in the diversity of its members — not to mention its candidates. In total tailspin, we see a Republican Party led by soon-to-be-ex-Chairman Charlie Webster and his visions of “hundreds” of mysterious “black people” stuffing ballot boxes in rural communities where nobody knew their names. Black strangers sneaking around rural Maine’s polling places? Care to comment, Rep.-elect Hickman? Let’s set Webster aside for the moment — or maybe forever. Here’s what the good citizens of Winthrop and Readfield — and all of Maine, for that matter — get in Hickman. He grew up in Milwaukee, the adopted son of a Tuskegee airman and a mother who took in countless “throwaway girls” with no place else to go for a warm meal or a clean set of clothes. He earned a bachelor’s degree with honors in government from Harvard. He wrote a book, “Fumbling Toward Divinity,” about his successful search for his birth parents. He’s a chef, an actor and a rabid tennis fan — his blog, Craig Hickman’s Tennis Blog, has been rated among the top 10 independent sports blogs in the country. Hickman and Blom sold their house in Boston in 2002 and moved to Maine, where they now own and operate the Annabessacook Farm Bed & Breakfast and Organic Farm Stand just 10 miles west of Augusta. 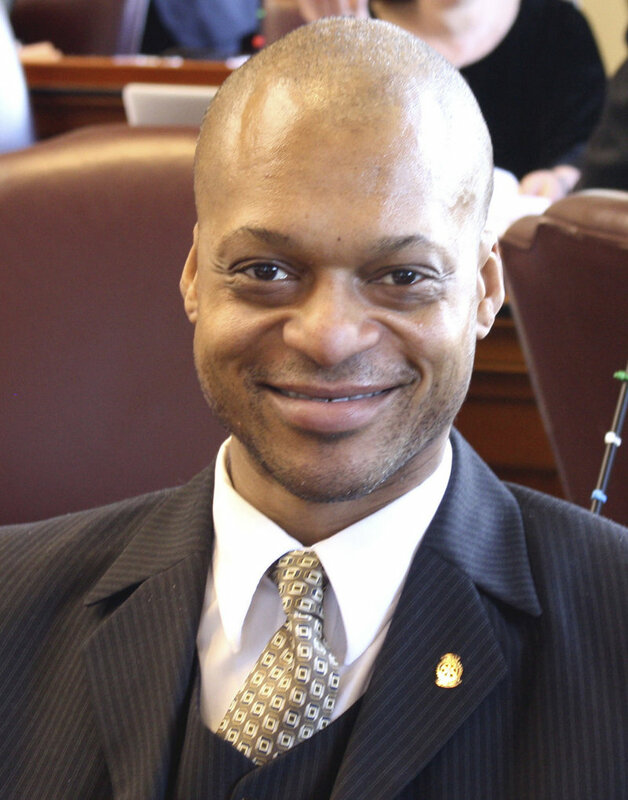 And here’s the best part: Even as all those black strangers lurk in at least one Maine Republican’s nightmares, everybody knows this guy’s name. Hickman is president of the Rotary Club of the Winthrop Area. He has served on the boards of the Annabessacook Lake Improvement Association, the Theater at Monmouth and the Washburn Norlands Living History Center. When the Winthrop Food Pantry hit hard times a few years ago, Hickman put out the word that there was free food for all who needed it at the farm stand in front of his home. When the Winthrop Hot Meals Kitchen similarly lost its financial balance, Hickman volunteered to cook hot meals to go out of his kitchen every Wednesday until the soup kitchen could get back on its feet. Still, it wasn’t until he went to the State House in 2008 to watch Maine’s four electors vote for Barack Obama that Hickman’s political ambitions took root. Back in 2010, sprouting a head full of dreadlocks, Hickman ran against incumbent Flood and lost with just under 40 percent of the vote. Two years later, the dreads are long gone. And just as Talbot predicted, one of those seats soon will have Hickman’s nameplate in front of it. So what was it like for a gay, black farmer to knock on doors in one of the nation’s whitest states and ask for people’s votes? Take the woman who wanted nothing to do with Hickman one day as he pulled into her driveway. The woman stopped dead in her tracks. “You’re doing what?” she asked incredulously. The woman burst into laughter. His politics begin and end with food — so many problems, Hickman maintains, stem from the fact that too many people lack access to affordable nutrition. Thus he’s hoping for a seat on the Legislature’s Agriculture, Conservation and Forestry Committee, although he wouldn’t mind Judiciary or Health and Human Services. But mostly, Hickman’s just happy to have won — and maybe a little stunned that so many of his neighbors saw fit to send him to Augusta. Neighbors who, rather than worry about imaginary black people, had no problem whatsoever electing a real one. Since last week’s election, more than a few folks in District 82 have gone out of their way to tell Hickman how proud they are of him. He tells them all they have it backward — it is he who is proud of them.